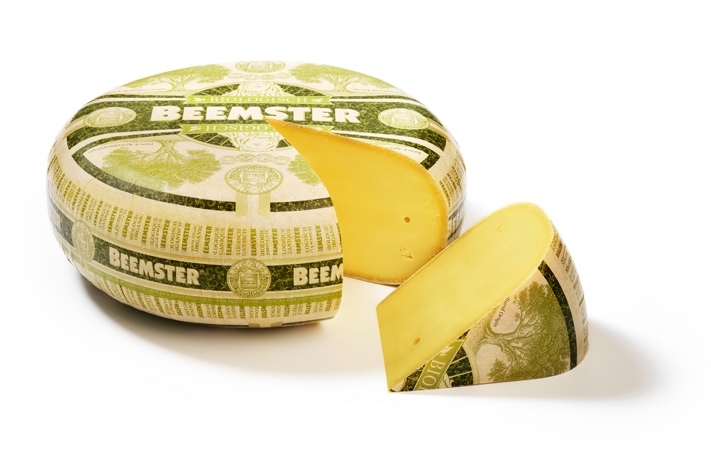 All of Beemster’s cheeses are made to secret Dutch recipes, utilizing the highest-grade milk from their happy, free grazing cows. Beemster Organic, however, is produced exclusively with the freshest, certified organic milk from only 19 of the small family farms that form the inimitable Beemster Polder Cooperative. Sitting 20 feet below sea level, Beemster’s nutrient rich polder is famous for its exceptionally lush pasture lands that produce distinctively buttery, especially sweet cow’s milk. The milk results in superlative quality cheese, with Beemster Organic hailed as an exceptionally creamy, buttery and flavorful Dutch cheese for the organic shopper. Carefully hand crafted and matured for 3 months into a delightful, semi-soft texture, Beemster Organic’s smooth, ultra creamy and mellow flavor will please any palate, while also continuing to stimulate even the most ardent connoisseur. Applications: Excellent for snacking, Beemster Organic’s fresh flavor is also perfect to dice or shred for salads, and goes especially well with arugula, scallions, toasted walnuts, Prosciutto di Parma and crisp apples. Pairings: Wonderful with beer, try a bock style lager or an amber ale. If wine is preferred, try a Riesling or a Pinot Gris for whites or a light-bodied red, such as Pinot Noir or a Gamay. Constancy. Purity. Loyalty. The Toschi Company, established in 1945 in Modena, Italy, is founded on those principles, which are represented by 3 interlocking rings on every Toschi bottle of traditional balsamic vinegar of Modena. Toschi Organic Balsamic Vinegar is made with the finest quality organic raw materials that are third party CSQA-approved and IGP certified. After undergoing rigorously controlled, traditional processing, Toschi’s Organic Balsamic Vinegar is aged in Croatian oak barrels for at least 2 months. The Consorzio Produzione Certificate stamped on each bottle guarantees the unmistakable quality of the finished product.